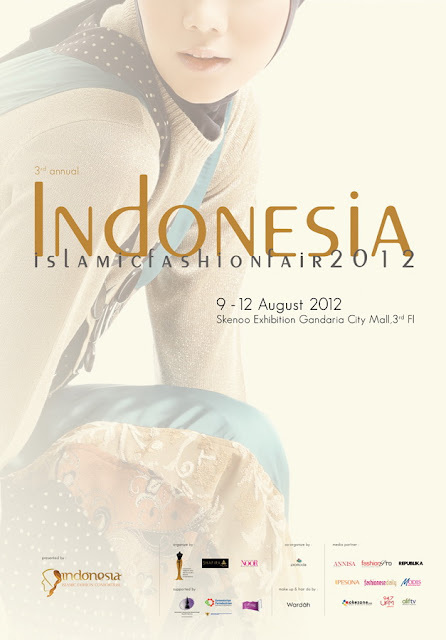 Indonesia Islamic Fashion Fair 2012 or IIFF 2012, was held from 9-12 August 2012 at Skenoo Exhibiton Gandaria City Mall. There were more than 100 booths of products; from moslem wear, shoes, accessories, and others. And last Friday (August 10, 2012) I came to IIFF 2012 with my cousins, Tika and Pipit. Some photos at "Wall of Fame" of IIFF 2012..